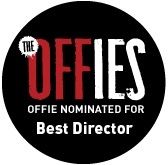 Matthew has received his 4th Off West End Award nomination as Best Director for his current production of THARK, which runs at the Drayton Arms Theatre until 6 Jan 2018. More info here. His previous nominations as Best Director were for Lovesong of the Electric Bear, Sea Life and Her Aching Heart.